Tourist information, Guide tours, Travelers cafe & Experiences. This is tourist information for specialized in international visitor. We have plenty of a guidebook and brochures of sightseeing facilities are available. We are giving suggestion around Shikoku and Setouchi area tourist plan by English, Chinese and Italian also we will help you reservation for train, bus, hotel and restaurant. We want you to experience all the beauties of japan before you leave. 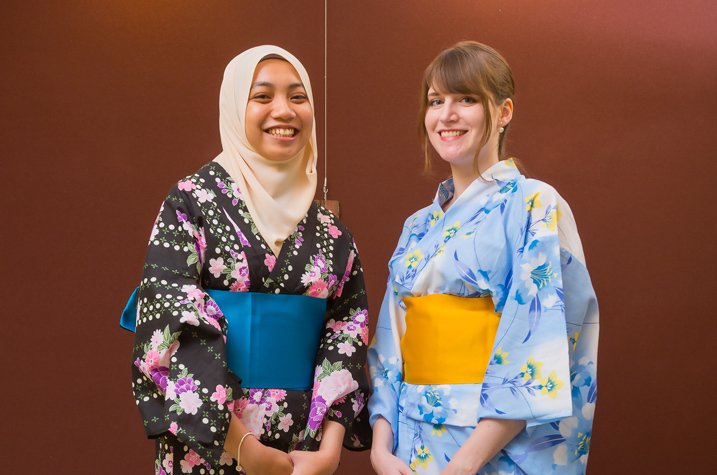 We prepare yukata rental and dressing, calligraphy experience, tea ceremony experience. Also, we conduct bicycle rental, taxi tour, bus tour and guided walking tour through town with Kotori's staff. We plan tours around Kotohira, Kagawa. Let's enjoy to stay in Kotohira with us. 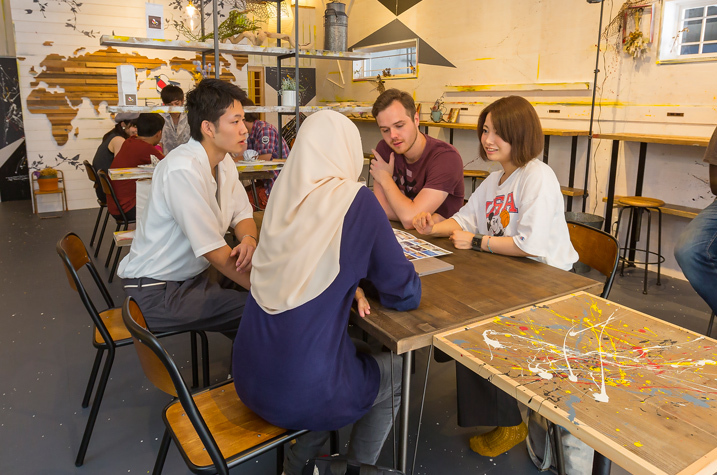 Kotori is a free space available for all of you who visit Kotohira, We prepare free wifi, the outlet for charging, plenty of tourist maps and brochures of sightseeing facilities are available, and Kotori's staff will be kindly able to support your traveling. Also, we prepare tea ceremony experience, calligraphy experience and Yukata rental and dressing for international visitor, so you can experience that Japanese culture on this trip. The pathway to the shrine at Kotohira is a good for photogenic place, so we would like you to make many wonderful memories and bring home. KOTOBUSE EXPRESS, Udon guided Taxi•Pilgrimage guided Taxi•Sake guided Taxi, and guided walking tour through town with Kotori's staff, these tours depart from Kotori. Please feel free to use the waiting time before and after departure. Free charge of PC and smartphone.Free Wi-Fi. I`m afraid Kotori will be closed on August 17th,22th,25th.